As Shakespeare's Juliet once innocently asked: "What's in a name?" Well, quite a lot if you were a fan of the government department formerly known as the Department of Trade and Industry (DTI). 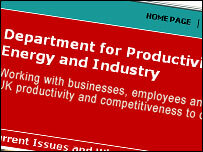 To mark the start of Labour's third term in power, the DTI is no more, replaced by the Department for Productivity, Energy and Industry, or DPEI for short. The name change, which is to be followed by an accompanying new logo, has not gone down too well with either business leaders or brand experts. Peter Matthews, managing director of brand experience consultancy Nucleus, describes the new DPEI name as "about as awkward as it gets". While Richard Wilson, head of business policy at the Institute of Directors, says the name change is "utterly pointless". The Federation of Small Businesses is a little more conciliatory, saying the old name had probably run its course, but hoped that "there won't be too much money expended on the rebranding exercise". 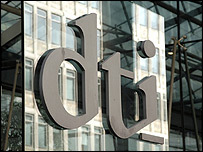 At the CBI, director general Sir Digby Jones said he wanted to see action to cut red tape more than a name change. For some, such as the Liberal Democrat party, the best decision would have been to eliminate the department entirely. But why exactly has the government done away with the old DTI? The argument coming out of Whitehall is that the new name better reflects the department's aims and new responsibilities as the department is now responsible for the energy portfolio. Darker commentators say the new department has been given the "energy" name, as it has been tasked with forcing through a new generation of nuclear power stations in order to reduce the UK's greenhouse gas emissions. The inclusion of the word "productivity" is also seen as central, as the department, under its new Secretary of State Alan Johnson, seeks to help businesses to be as efficient as possible to best compete in the new global marketplace. Yet Nucleus' Mr Matthews is far from convinced by either the new name or the way the process has been carried out. "At present, it is just a name change rather than a brand change, as I haven't yet seen any new logos, and the website address remains the same," he says. "The DTI was very well known to business, but the new name is such a tongue-twister, it makes the new department seem like a bit of a dumping ground. "Something like the Department for Business would have been much more straightforward. "And the way the government has introduced the new name without thinking of the overall brand smacks of political expediency rather than good practice." Stephen Alambritis, spokesman for the Federation of Small Businesses, said he hoped the inclusion of the word 'productivity' in the new name would be taken seriously. "It is a rather long title though," he says. "We would have preferred the name of the same department in the US - the Department of Commerce. "That is much more simple and says it all."